Photography and dogs are two of the things closest to my heart. This blog is my way of allowing my two passions to come together to tell a story. In today's world, dogs are treated like a member of the family. My dog comes with me on the subway, comes to work with me, and takes up more room in my bed than my boyfriend! But, I wouldn't have it any other way. Dogs tell a story. You can look deep into their eyes and see so much. In a happy dog you can see their smile and joy. And, unfortunately, in a sad, abused dog you can see their pain. Their faces depict emotion in its simplest form. Its my goal to go around this great city of ours and capture the love people have for their four legged friends. Capture the story of how their relationship came to be. Pictures are physical forms of memories that can be held onto forever. Dog's put the biggest smile on people's faces. I hope my blog does just that, puts a smile on your face. And if the stories inspire you to go out there and change the life of an animal in need, even better. If you would like your dog to be included and schedule a photo-shoot, please let me know. 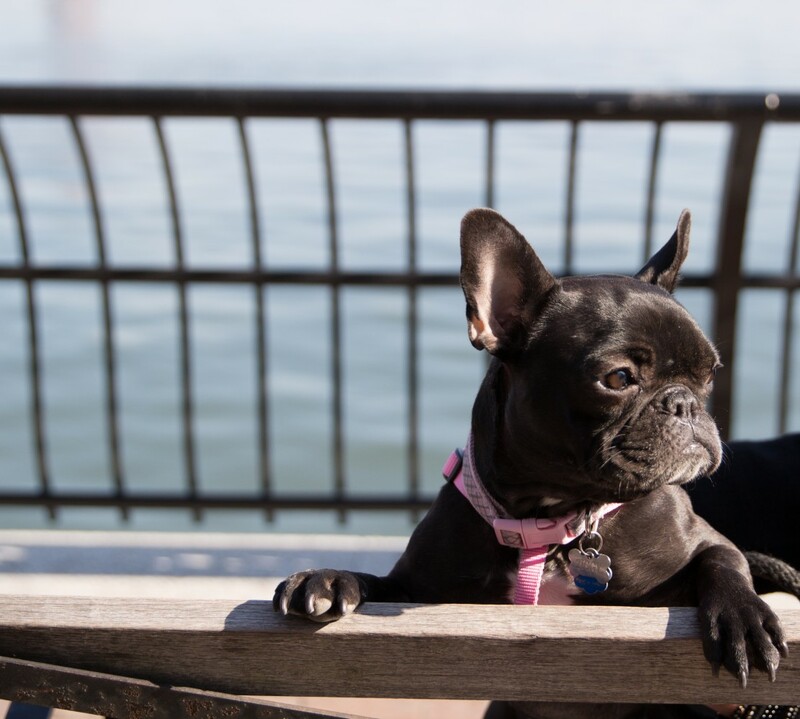 And if you see your dog's photo on here and you would like a copy of the picture, please send an email to DogsOfNYCPhoto@gmail.com and include the post name in the email. Enjoy! Adopt Don’t Shop For The Holidays! 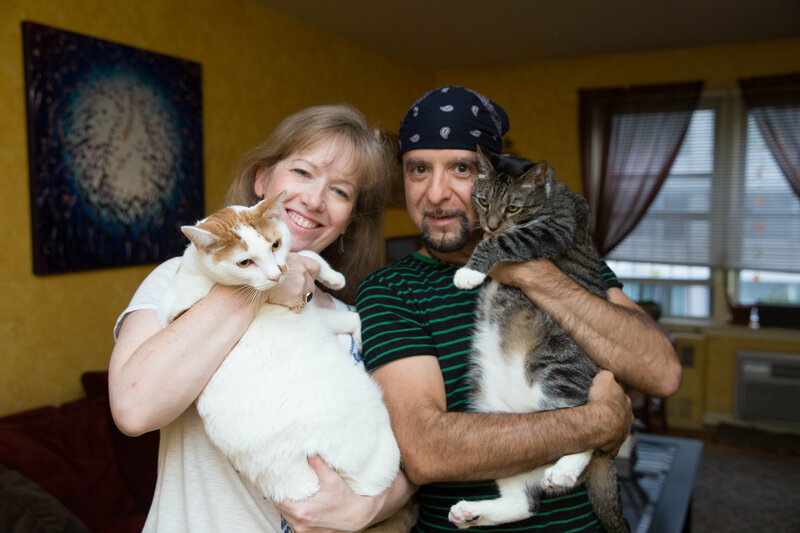 To Michael and his wife Suzy, having pets was the only way to live. He grew up with all types of animals – dogs, cats, fish, and others. His philosophy is that dogs and cats bring love and joy and always makes life better. Back around 2004/2005 he was introduced to Ollie’s place and began volunteering for the organization. Currently, Michael and Suzy have two cats that they adopted from Ollie’s Place. The first, Cosmo, came from an abusive home. Through observing Cosmo’s behavior, Michael was able to deduce that he was likely hit with a belt at some point in his life – if not on a regular basis. He figured this out one day when Cosmo first came home. Michael was getting dressed and just before he went to put his belt on, he dangled it in front of Cosmo in an attempt to play. 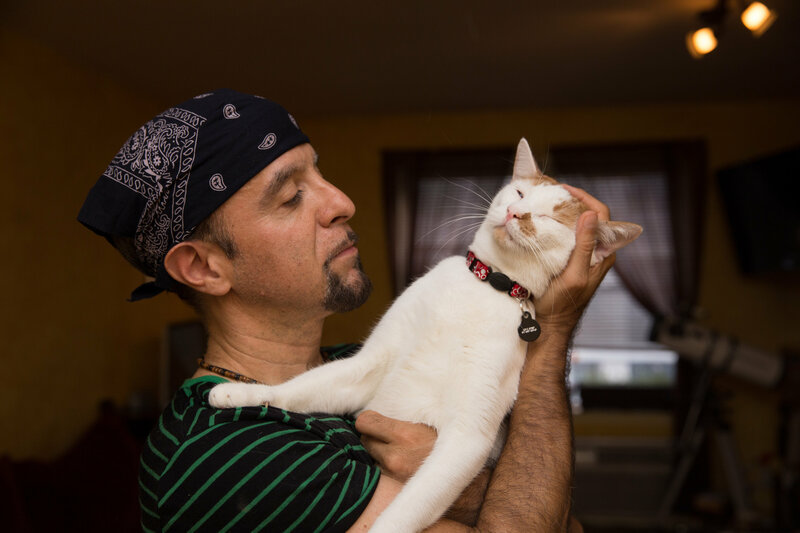 Cosmo took off and hid – a clear sign to Michael that he needed to work on rehabilitating his new cat to recognize that he was now in a safe place. 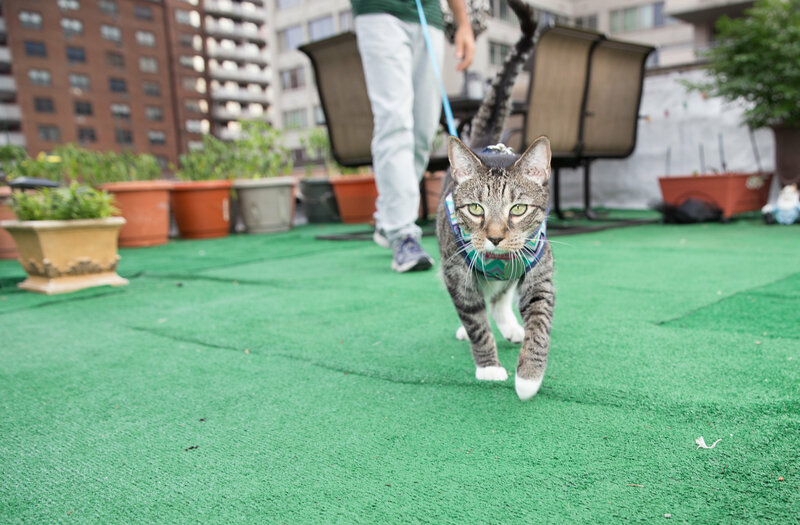 Despite his early life, Michael and Suzy say that this cat is filled with nothing but love. Through training, they say that Cosmo no longer fears belts and he now loves to play with them. Their second cat, Rupert, was part of a litter that came to Ollie’s place via John. Out of all his siblings, he was the biggest. Michael and Suzy describe him as a “giant mushball.” Aside from an odd habit of eating cloth, Rupert is a sweet, playful, and affectionate cat and he loves to play with his brother, Cosmo. They have plans to continue rescuing pets. Michael and Suzy know that they will love him forever, unconditionally. Providing them with that second chance makes it even better. 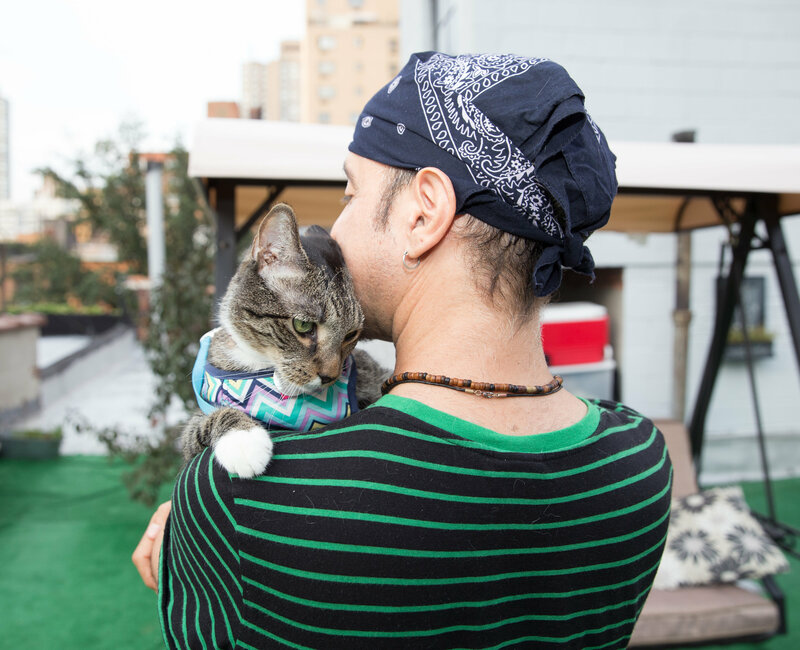 Having been on the inside of Ollie’s, Michael has seen first-hand how much love and care the cats get, especially since Kit took over. Michael and Suzy are proud to be part of Ollie’s Place and Mighty Mutts and truly believes they are amazing organization.